Rust can be an unsightly condition for your car, and rust can spread and cause more damage. Learn how to prevent your car from rusting in the Reno climate and how to tackle rust that is already on your car’s surface. Don’t let rust destroy your car. Exposed metal on your car surface gets exposed to moisture and the air, which causes oxidation and then rust. If you want to prevent your car from rusting, the fundamental task is to keep the metal surface of your car covered with paint. Make sure your car’s paint job is strong enough to withstand chipping or road salt during Reno winters. Polishing your car’s surface will also help prevent rust. 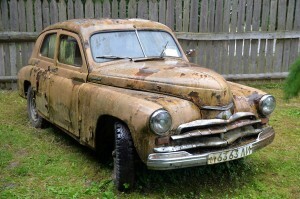 Surface rust occurs at locations of nicks and scratches on your car. Take the time to fix the small scratches and other impurities on your car in order to prevent the much worse scenario of rusting. 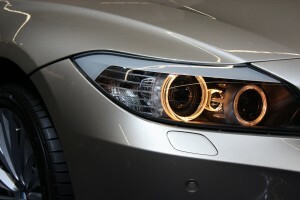 The cosmetic car repairs can help you ward off more damage that would cost you more money and time. Prevent rust by keeping your car’s surface free of nicks and scratches. If you found a rust spot on your car, take action quickly. The process of fixing rust on a car’s surface consists of sanding off the rusted metal and repainting the previously rusted section of the car. As you slowly sand the rusted area of the vehicle, you will want to adjust the intensity of the sandpaper you use. Use a finer grit of sandpaper and then a metal grinder for final touches to smooth out the metal surface before repainting. Before you repaint the area affected by rust, use a rust-removing acid like phosphoric acid to get rid of any rust particles left over. After all of the rust is gone, use a paint primer on the car’s exposed surface area to create the best conditions for painting. Apply up to three coats of primer lightly, while allowing each coat to dry for at least 12 hours. The last thing you want at this point is paint primer clumping up and causing you to strip it off and start all over. You can also prevent primer problems by sanding with a special wet sandpaper between coats. Once the primer coats have dried, move on to the colored paint that matches or is close to the color of your car’s paint job. Applying three thin coats of paint should do the trick. If the paint you chose is not very close to the color of the rest of the car, painting more layers can make the color difference more noticeable. You can work on buffing out a rusted surface spot on your car, but make sure to protect the rest of your car’s surface. Buffing out a rusted surface area on a car can cause rust particles to spread in the air and land on other parts of your car’s surface. Prevent this by masking the unaffected areas of your car with masking paper and safe tape. The best masking technique for your car involves masking along the existing panel lines as much as possible. At Liberty Collision in Reno, our qualified technicians are prepared to perform cosmetic car repairs and custom paint jobs to assist with rust-related car damages. We have over 25 years of restoration experience, so we can help you if your auto body repair skills are somewhat “rusty.” Our technicians also have training in Sherwin-Williams Automotive Finishes in order to help you get the closest paint matches for your cosmetic car repairs. Make your car rust-free at Liberty Collision in Reno today!